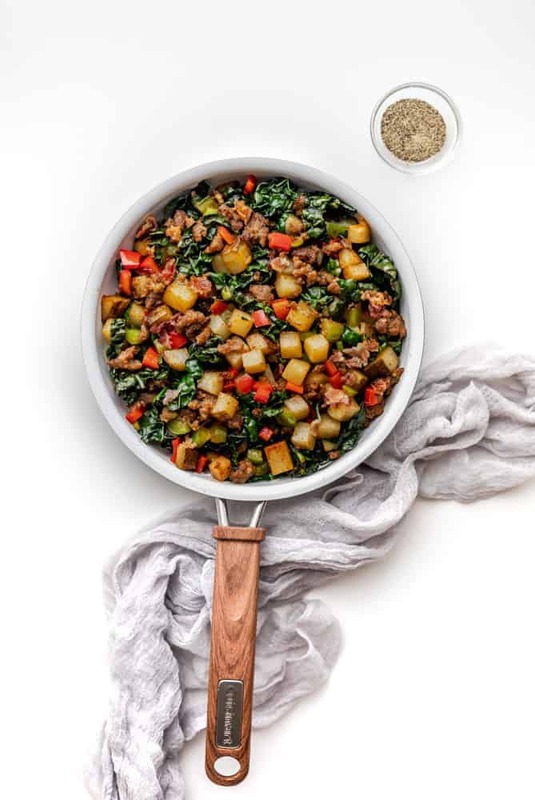 Sausage Breakfast Skillet with Potatoes and Vegetables. A hearty breakfast to start your day. It’s made of all your favorite breakfast flavors and ingredients. Easy to make, perfect for breakfast or brunch. Father’s Day is a great time to show how much you care about dad. It’s also the perfect day to enjoy a special activity or meal. During Father’s Day or Mother’s Day, we almost always opt for staying in and cooking. It feels good to skip reservations and those long lines at restaurants! Cooking special meals at home is not only less expensive than brunch at restaurants, but it also gives us a chance to bond while relaxing at home. 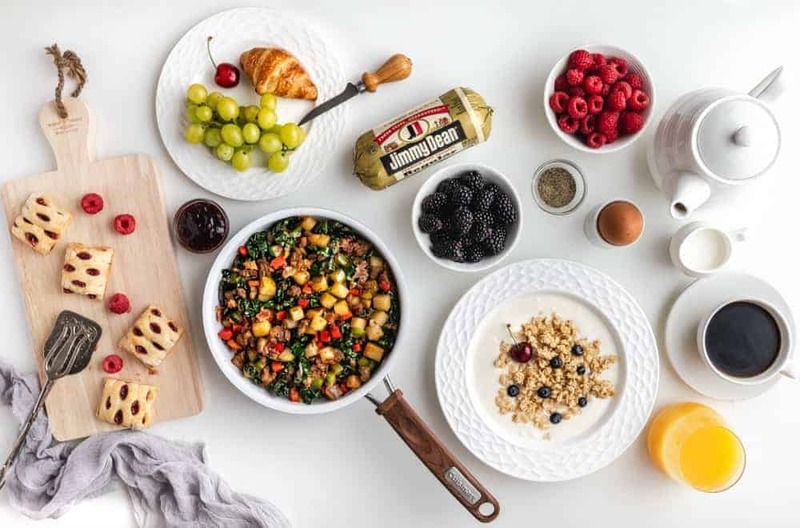 If you are on the hunt for Father’s Day recipes, look no further because today I am going to show you a delicious breakfast that you can easily create with Jimmy Dean® products found at Albertsons! You can find this product in the refrigerated meat area. Jimmy Dean is a brand that I’ve been going to for breakfast products for decades now. Whether I’m in a hurry or in this case, prepping a special meal, I know that I can trust their brand for some good breakfast eating. One of the meals we love to cook on Father’s Day is a delicious breakfast skillet. To cook this delicious Sausage Breakfast Skillet with Potatoes and Vegetables, I used Jimmy Dean Regular Premium Pork Sausage Roll as a main ingredient. 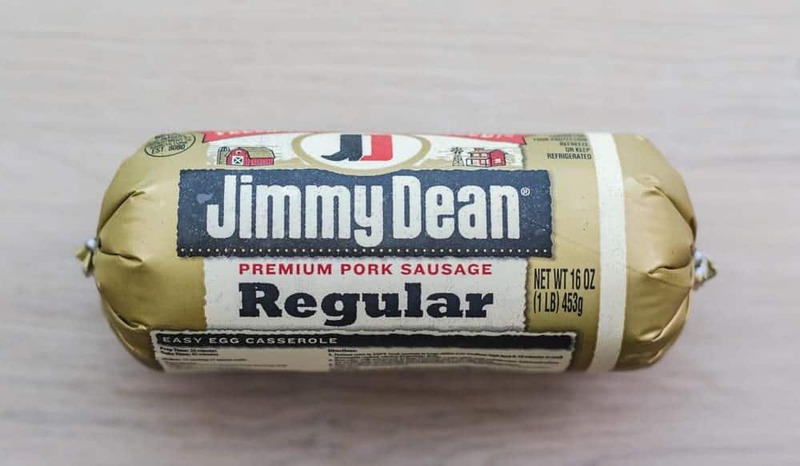 Because the sausage has a unique, savory blend of Jimmy Dean signature seasonings, it was very little work to build up the flavor. This skillet recipe can be ready in 45 minutes or less if you use frozen cubed hash brown potatoes instead of fresh potatoes. This Sausage Breakfast Skillet with Potatoes has everything you need to start your day right. It has a great amount of carbs, protein, and veggies! So here are the ingredients I used: Jimmy Dean Regular Premium Pork Sausage Roll, potatoes, bacon, kale, red bell pepper and green bell pepper. For seasoning, I only used a small amount of salt, black pepper, and paprika. My husband and father both love a hearty breakfast, and this one will fill them up and get them ready for their big day. Balancing out a hearty dish with veggies oftentimes makes it tastier and that is definitely true in this case. It adds another layer of complementary flavors and gets a serving of veggies in the morning hours… I love that! I used bacon to add flavor and richness to the cooking. And the best way to do this is by rendering the bacon. I cooked the bacon in a heavy skillet (or you can use a cast-iron) over low heat for about 10 minutes to get off as much fat as I can which is great to cook the potatoes. I also used unflavored bacon instead of pre-flavored packaged bacon to avoid bringing in too many different and competing flavors to the dish. I cooked the potatoes using the bacon fat for about 20 minutes over medium heat, and cooked the Jimmy Dean Regular Premium Pork Sausage Roll separately in a non-stick skillet for about 14 minutes over medium heat. Once the potatoes were browned, I added the green bell pepper, red bell pepper, kale and cooked Jimmy Dean Regular Premium Pork Sausage Roll into the skillet. 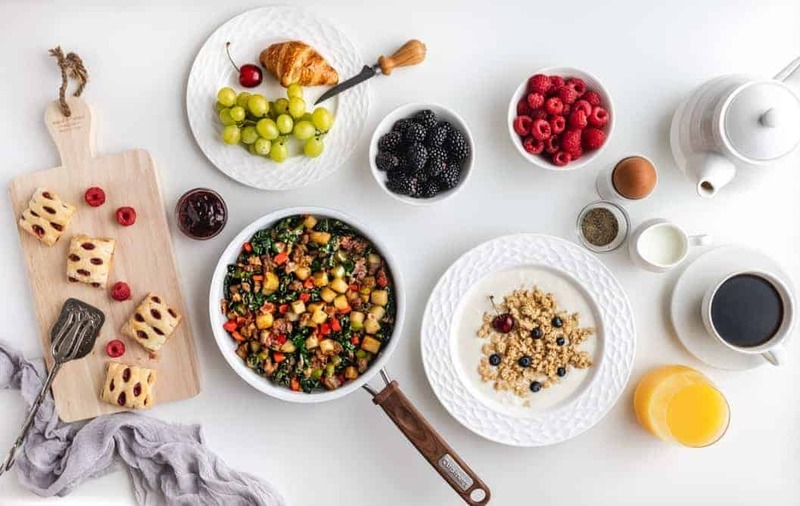 The whole cooking process is just so simple, and the result is a flavorful breakfast skillet that will surely make any dad happy! They say homemade gifts are the best, and similarly, putting in the effort for a homemade dish adds some wow-factor and shows that you care. jimmy dean is my favorite! we only eat this brand because it is to die for! this recipe looks good, i just might make it for sunday brunch! That absolutely looks good! I wish I could do this breakfast. Those are delicious for sure. This looks wonderful! What a beautiful spread with ingredients I already have at home. I’m definitely trying this recipe for a breakfast surprise this weekend. Yum! Oh this looks delicious My family will surely love this breakfast skillet potatoes if I make this for them. I love the skillet potatoes with the peppers! This would make a great Dad’s day breakfast. I love kale but I haven’t tried using it on a breakfast dish. I bet this is good. Going to make it soon. Thank you for the recipe.